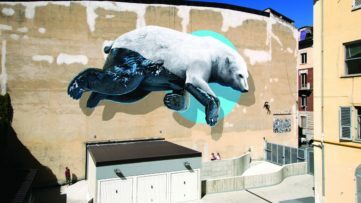 A renowned Chicago gallery, Vertical Gallery has been exhibiting and promoting urban, contemporary and street art since 2013. 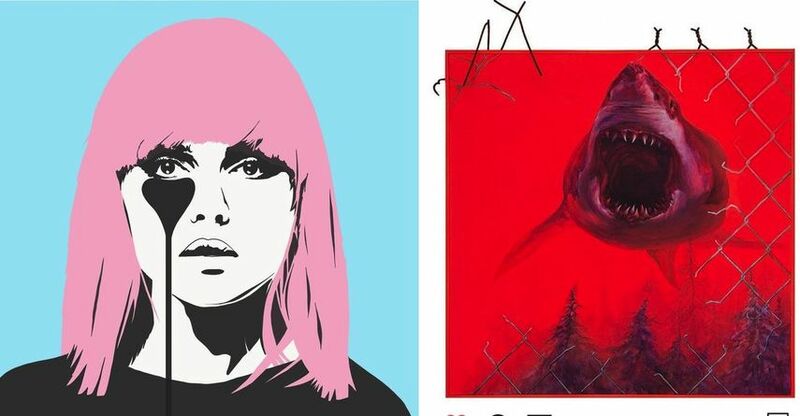 Focusing on work influenced by urban environments, street art, pop culture, graphic design and illustration, it seeks to bring this art form to a broader audience and eliminate the barriers that exist between traditional institutions, contemporary galleries, art collectors and casual viewers. This April, the gallery is celebrating its 6th anniversary with a special group exhibition. It will welcome the work of over 40 local, national and international artists. All of these artists have shaped its programming over the years. The exhibition brings together works by artists coming from 14 countries around the world. The audience will have an opportunity to see works by Anthony Lister, known for his outstanding pop-surrealist works that embody a fusion of highbrow and lowbrow culture; Ben Eine, known for the peculiar alphabet lettering style and bright, cheerful coloring; Ben Frost, an artist appropriating symbols and icons of advertising and turning them against the propaganda industry; Collin van der Sluijs, a Dutch illustrator, artist and gallery owner turns personal pleasures and struggles in daily life into his own visual language; Herakut, a German art duo who have merged their individual approaches influenced by graffiti and street art; and Pure Evil, a graffiti artist exploring the darker side of the wreckage of Utopian dreams and the myth of the Apocalypse. 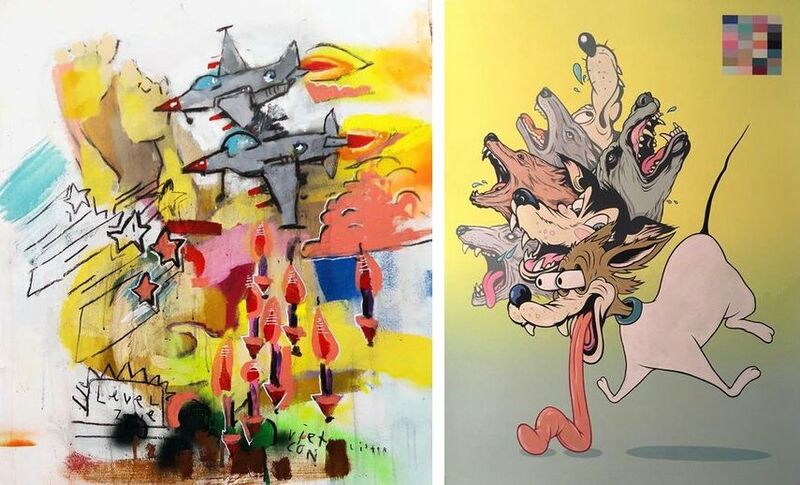 Other artists include Alex Senna, Amose, Andreas Englund, Andrew Watch, Beejoir, Ben Slow, Brad Novak, Brandon Boyd, Candice Tripp, Chad Hasegawa, Christopher Cosnowski, Chris Cunningham, CLS, Deih, Dot Dot Dot, Fourhundred ML, Grant William Thye, Hebru Brantley, James Thistlethwaite, Jas Petersen, Joseph Renda Jr., Kayla Mahaffey, LIE, Martin Whatson, Mau Mau, Merlot, Merry James, Philip Bosmans, Pipsqueak Was Here!! !, Pizza in the Rain, RYCA, Sergio Farfan, Shark Toof, Steve Seeley, TRUST iCON and XOOOOX, among others. 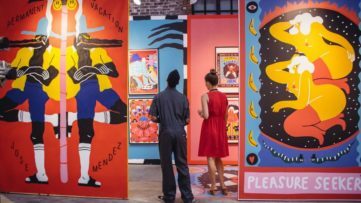 With their exhibitions, the gallery will continue encouraging open exploration and discussion of urban-contemporary art. The exhibition 6-Year Anniversary Group Show will be on view at Vertical Gallery in Chicago between April 6 and 27, 2019. The opening reception will take place on Saturday, April 6th, from 6 to 9 p.m. Featured image: Pure Evil – Debbie loves Chris (detail), 2019. All images courtesy of Vertical Gallery. 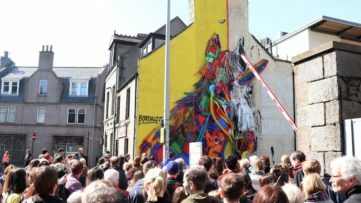 Get Ready for Nuart Aberdeen 2019!